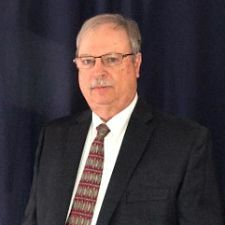 After careers with Newport News Shipbuilding, Amoco, BP, Giant Industries, and Western Refining, William Hogge started and continues to operate as President of a successful company specializing in OSHA PSM regulatory compliance, procedure development, operator training, and hazard reviews. Managed the PSM and Training Department at the Western Yorktown Refinery. Participated in consulting teams for improving and advancing process safety at Western Refining Gallup & El Paso Refineries. Developed PSM required program for Andeavor Logistics LPG storage terminal. Business clients include Western Refining, Plains All American Pipeline, Glyeco, ZH Consultants LLC and Andeavor.